The Dugout studios is a rehearsal and recording facility located in Fort Fareham. We have three rehearsal rooms open seven days a week . Monday – Friday 10am till midnight. Weekends 10am – 10pm. Weekday daytime sessions between 10am and 6pm can be booked for solo practice at half price. Evening sessions can be booked 6-9pm, 9-12pm or 7-11pm. Sunday 10am -1pm, 1-4pm, 4-7pm and 7-10pm. Hire rates include PA, mic stands and leads. Back line amps and drum kits are available to hire for the session. 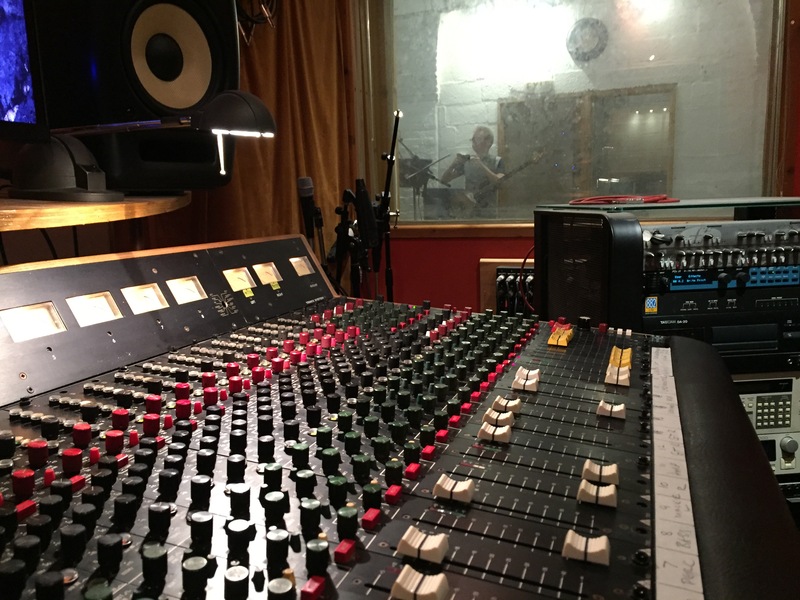 Our rooms are large enough to record a whole band live, and our live demo deal has become very popular. For multi-track recording we use the latest version of Protools. Our in house engineer has over twenty years experience using it’s editing and production tools, and will mix tracks to your requirement. We cater for artists of all styles and have recorded just about everything since opening in 1998. Follow us on Facebook and Twitter to get up to date news on everything from who we’ve recorded to last minute bookings. © 2019 Website designed by Daniel Hutchings. Developed by Slyme Design Ltd.
Graphics courtesy of Think Factory.